When news of Sony's new ebook DRM plans crossed my desk in late October, I wasn't sure whether to take them seriously. The news came to me second hand and seemed focused on the idea of "used" ebook sales, which seemed like a pipe dream at best, but Sony's focus is much broader than that. I spent a few minutes today with Spiros Rally, the VP of DigitalWorks at Sony DADC, at DBW 2015. There wasn't much he could say about the tech or Sony's intentions publicly but he did share a few details. Sony is very interested in this market (the fact they had people at DBW 2015 told us that) but they're not directly interested in the trade ebook market, where the leading DRM suppliers are Amazon, Apple and Adobe. Instead Sony plans to focus on other markets and on developing new business models. And there is also a chance that Sony's DRM might show up in the trade ebook market; as you may know Kobo, Google, Scribd, and Oyster each use their own proprietary form of DRM internally (Google Play Books and Kobo make a pretense of supporting Adobe DRM externally). 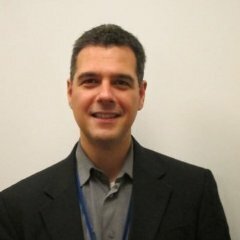 I have been told by Sony that partners will be using the new DRM by April, although they have not said who that will be. As I reported in October, details are still scarce. While it might sound strange for Sony to get back into ebook DRM less than a year after getting out of ebook retail, they've actually been working on this for several years. I first caught wind of Sony's efforts in this area in 2011, when the Marlin consortium announced plans to develop a new ebook DRM. Sony was involved, which is what caught my eye. A reader could lend a book to a friend or friends. Books purchased from several stores using the URMS can be accessed from a common bookshelf on a user’s device that can be easily read using any supported reading device. A reader can borrow books from libraries in different ways to suit their reading patterns. As an example, a short book could have a short loan time and a longer book could have a longer time. Conversely, a library could offer on the fly renewals, making their operation and administration easier and more efficient. Using our platform, a reader can sell their book. Once sold, the reader would no longer have access to it on the platform. It remains to be seen exactly how this DRM will be used, of course. Did Adobe’s malware go open-source when I wasn’t looking? Last I checked all the DRM scams currently in use are proprietary. Yes, but my point was that there are more flavors of DRM used in the ebook market than it appears. Adobe is given credit as the second or third largest purveyor and the truth is more complicated. Proprietary to Adobe but not to the vendors using it. They have to pay for using it. The Adobe tax is significant enough that most of the bigger ebook vendors have developed their own in-house options to minimize their Adobe payments. It will be used the same way Sony uses every customer limitation it imposes. 1. To make sure Sony can overprice everything. 2. To make sure Sony retains control of everything the consumer purchases from them. 3. To make sure they can still piss down our backs and tell us it’s raining. Interesting that they think this is a viable market. I guess they’re not buying the idea that Amazon has a monopoly on ebooks, since the Kindle has its own DRM (if the publishes insists on it). I don’t quite see how this could allow legal selling of “used” ebooks. Not trying to nitpick but Douglas County did not break free of Overdrive and 3M, in fact they have both services, in addition to their own ebook service. They keep 3M and Overdrive because that’s where the major publishers sell their content. It will be interesting to see how Sony works with publishers. That’s a nit worth picking, thanks. This development by Sony is very interesting. If this type of approach to DRM takes off it could leasto a lot more creativity in ebook software and the distribution ecosystem. Eg ebook software could split into into “bookshelf” software and “reader” software; plus marketplaces for books. There could be novel approaches in each camp. If books could be resold then local distributors and integrators could help to solve local problems, making margin off the resale. I thought Sony is not producing any more any ebooks? Or do they only develope DRM? Sony merely developed the DRM. They’re going to license it to other companies.